Do you know the secret to a healthy smile? It involves more than just brushing and flossing at home. You must also see your Blue Cross Blue Shield dentist in Joplin twice a year. 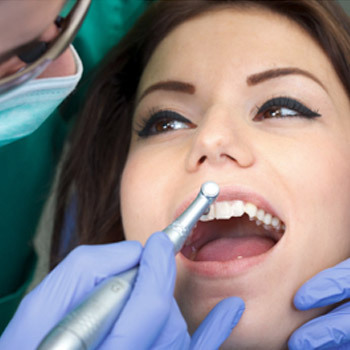 Since you have dental insurance, there is no need to fear the cost of the treatments. You can get the services you need to keep your teeth and gums healthy. By doing so, you reduce your long-term costs for care. 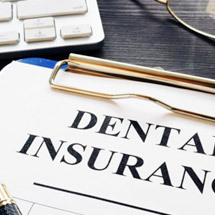 At Young Family & Cosmetic Dentistry, we will help you make an investment in your oral health by maximizing the value of your insurance benefits. Blue Cross Blue Shield is a leading provider for comprehensive dental insurance in the United States. With a focus on prevention, they provide the coverage you need to maintain optimal oral health. Even with the best prevention in place, complications can still arise, like tooth decay. To rehabilitate your smile, Blue Cross Blue Shield also provides coverage for restorative treatments. 100% coverage for cleanings, checkups, and x-rays. Up to 80% coverage for minor restorative treatments, like fillings. 20% to 50% coverage for major restorative procedures. To make the most of your benefits, your insurance company recommends you choose an in-network dentist, like Young Family & Cosmetic Dentistry. As an in-network dentist, we have pre-negotiated rates with Blue Cross Blue Shield to reduce the amount you need to pay out-of-pocket. With yearly maximums and limits enforced, we work on your behalf with the insurance company to keep our services affordable. We help you maximize the value of your policy while keeping the treatments you need within your budget—even if that means splitting the cost over calendar years. We understand insurance can be confusing. We do not want to see you overlook an important benefit that could be used to reach your oral health goals. To help you understand your policy and to use it to its full potential, our insurance specialist Lori is here for you. As an experienced member of our dental team, she understands how your policy works and what your coverage includes. She works with the insurance company to file the necessary claims and paperwork, so you have one less thing to worry about. Lori will help to decrease any remaining balances for your services; however, if you must pay a portion out-of-pocket, she will discuss your payment options. Do not let your dental benefits go to waste. We will maximize your coverage to help you achieve optimal oral health. If it has been more than 6 months since your last cleaning and checkup, contact our office today to schedule an appointment. If you have any questions about your policy, Lori has the answers you need. We look forward to aiding you on your journey to a healthy, beautiful smile!